THE EASIEST HOSTEL TO FIND! 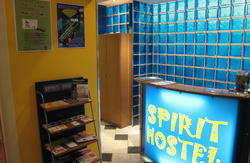 Hostel Belgrade is located just across the highest building in Belgrade! Hostel Belgrade is located in the very center of Belgrade, in the street of Kralja Milana 17, just 10 minutes walk from the main train and bus station, or just one stop by tram number 7. 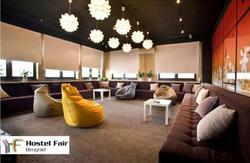 It is a very pleasant, new, charming, modern place with a high comfort hospitality, and relaxed and peaceful atmosphere. 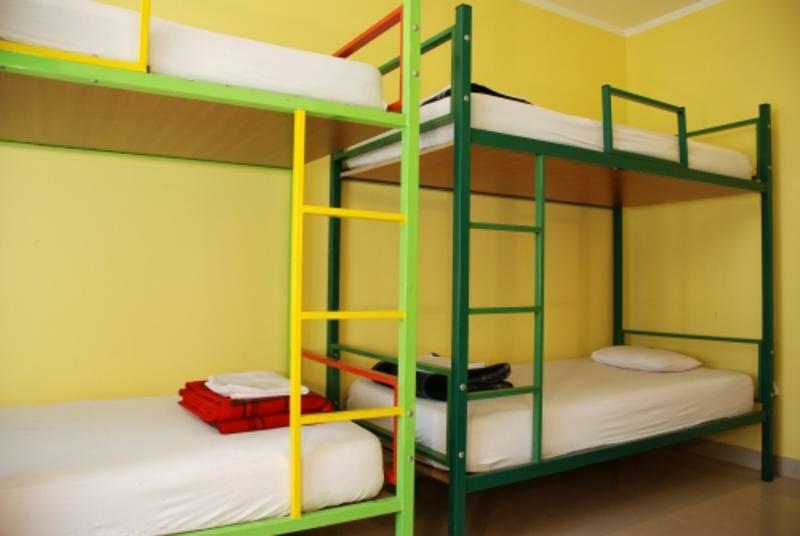 The hostel is next to the famous Students Cultural Center ( SKC ), the place where many different concerts, theater performances, exhibitions from well known various artists are going on. It is also in the front of the great, modern Jugoslovensko Dramsko Theater, and only a few hundred meters away from National Theater and National Museum. Whenever you need there is young, kind, friendly and funny staff who will give you the information about all cultural, sports and other events that are going on in and around Belgrade. Also you can get information about any specific, historical, interesting, mystic places and things that you should not miss during your stay in Belgrade. One specific thing about the hostel is that it is in the very center, but when you pass the main entrance of the building, which is just on the pedestrian side of the street, you will suddenly discover a magical, nice, quiet garden, which gives a calmness to all visitors of the hostel. The hostel is open 24 hours a day. 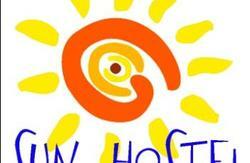 It is the easiest hostel to find!!! It is just across the biggest building in Belgrade ( which is called 'The Belgrade Lady' ) ! You can see this building from almost everywhere in the center. From the main train station: ON FOOT - 10 MINUTES: Go out through the main exit, and go straight up through the street of Nemanjina, it is a wide street where trams are going. Take the second left into Kneza Milosa, it is a wide street with trolleys and buses going through, and then go straight up for 2 minutes, till you come to the second street which cuts Kneza Milosa street. So, now you are in the street of Kralja Milana, and HOSTEL BELGRADE is just 20 meters on your right side, at number 17. Go out through the main exit, and just at your left side there is a tram station. Take the tram No 7, go out next stop. Now you are in front of the Student Cultural Center ( yellow building ). go just 10 meters up ( following your tram ) and go left at big street. It is Kralja Milana street , where the HOSTEL BELGRADE is at number 17, just 50 meters from the tram station. Or You can take a taxi car, and the price of the ride will not be more than 300 dinars, (about 4 euro) to the street of Kralja Milana No17. First go to the main train station. Follow our map to find the train station (about 2 minutes): walk through the little park right where you got off, and follow the main street 400 hundred meters until you see the main train station ( big yellow building ) on your right. From there, follow the directions above. From the airport: You can take a Jat bus ( a price of the ticket is about 2 euro ), which goes directly to the center of the city, and get off at the last stop - Slavija. Now you are at big round sross-road. Hostel Belgrade is 3 minutes walk from the bus stop, through the Kralja Milana street, which begining is from the round cross-road.